As a system of care, wraparound, and human services research consultant, Dr. Rast has extensive experience in developing programs, systems, program evaluation strategies and tools to assess community-based service implementation. 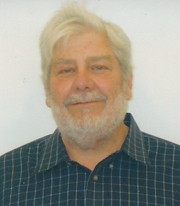 Jim has more than 35 years of experience in various settings in human service and healthcare organizations. He is well versed in medical, mental health, and child welfare issues. He has been working with children and families in community-based settings for the past 25 years developing individualized services and systems to support these individualized services. Jim has extensive skills in both formative and summative program evaluation, continuous quality improvement, as well as, his experience developing and implementing community-based collaborative human services. Jim founded Vroon Associates in 1984 as a human services consulting firm. The firm specialized in services for individuals with developmental disabilities and mental illness, providing direct services, consultation and training in person-centered planning, behavior and functional analysis, supervision, and financing. In 1994, the focus began to shift to agencies and organizations providing mental health and collaborative services. In 1996, Vroon Associates added a new focus on child welfare services. Before the formation of Vroon Associates, Jim was the Director of Kan Focus, a very successful and now sustained system of care project in rural southeast Kansas. From 1994 until 2001, he was the principal investigator for a CMHS 5-year longitudinal system of care development project to develop community-based mental health services for children and families in 13 rural counties in southeast Kansas. Kan Focus brought wraparound to southwest Kansas. As children’s director of the Mental Health Center he was so committed to wraparound that he provided in partnership with a newly hired family support partner, wraparound facilitation for the first 15 children and families to receive it in southeast Kansas. He then taught, coached and directly supervised eight additional staff to raise the wraparound capacity in this county to 120 children and families at a time. Concurrently he worked with supervisors and staff at the other four mental health centers in the 13 counties to implement their own wraparound programs. Through the SMHSA program Kan Focus committed to serve 300 children across services during the five years. Kan Focus served 2,600 children in wraparound and over 10,000 in all related behavioral health services. In addition, Dr. Rast led an effort to form a strong system of care which developed many complimentary programs. This included developing and implementing models for integrated family resource centers supporting the system of care (funded by family support and preservation funds), community-based mental health services, alternative educational environments, after-school and mentoring programs, and an integrated early intervention and prevention system. It has also included an extensive community assessment and planning process to develop the strategic plan for local control of juvenile justice and delinquency programs. This process is created a collaborative juvenile justice system that includes lifespan prevention and early intervention. From 2002 through 2009, much of his system support consultation focused on child welfare systems. This has included doing several extensive system evaluations, developing white papers on the impact of privatization, bifurcation, and system financing. As a system design consultant, Dr. Rast has worked with programs in 34 states and 15 tribal governments to design and develop systems of care. His work has focused on service design, program evaluation, personnel recruitment and management, staff training, and funding for programs. This has included waivers for Medicaid funding, and changes in IV-B and IV-E strategies. In addition, he wrote funded grants for substance abuse prevention, juvenile justice treatment and prevention programs, and family preservation and support to create local family resource centers, education grants to create neighborhood centers, after-school programs and mentoring. Jim and Denise live in Aurora, Colorado. They have four adult children, as well as five grandchildren. When he can, Jim spends time in his greenhouse raising orchids and enjoys scuba diving, fishing, bicycle riding, watching college and professional basketball. Jim is a native of North Carolina and completed his Ph.D. at the University of Florida and is a loyal Tarheel and Gator fan.